The goals of Mbaye Niang, Hatem Ben Arfa and Adrien Hunou in the discount knock down Saint Étienne, who finished the game with ten players. 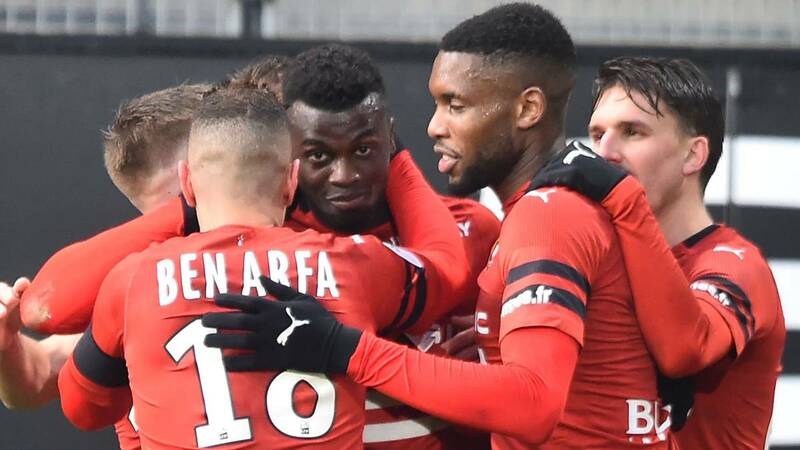 The Rennes beat Saint Étienne (3-0) and thus confirms their improvement in Ligue 1 of France days before receiving Betis in the first leg of the last 32 of the Europa League. The home team added their second successive win against Saint Étienne after the one they won last weekend at Amiens. Julien Stéphan's squad looks at Montpellier's European spots, which did not go over the tie against Monaco (2 -two). The Rennes took advantage in the twenty minutes by means of Mbaye Niang, but he could not breathe until the end before a rival who tried at all times to avoid lengthening his losing streak. The Greens have three games without winning and have been off the top of the classification. Tras the Senegalese goal came in 87, thanks to a penalty that transformed Hatem Ben Arfa. Then, in the added time, Adrien Hunou rounded off Rennes' victory against Saint Etienne, who ended the duel with ten players for the expulsion of Romain Hamouma. Lille, for its part, clings to second place. Eliminated from the Cup by Rennes, his goal is to settle in the Champions League places. He came to the bottom, Guingamp, and added his fifth victory in a row.